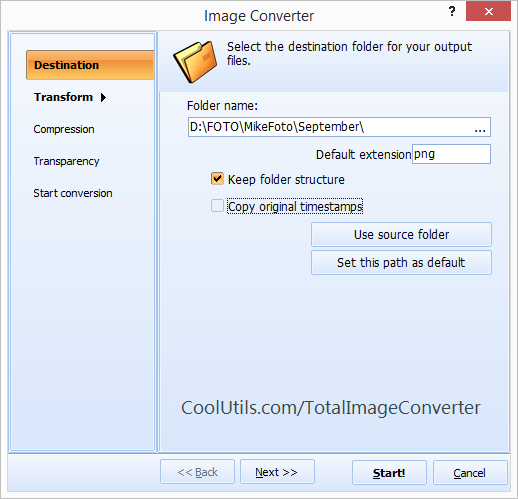 If you experience the lack of time on numerous image conversions, Total Image Converter offers an ability to spend only a minute for processing all files you need. All popular formats are supported, including TIFF into GIF conversion mode. 10, 100 or more files converted by one single command is what you can do with the aim of this utility. You can convert TIF to GIF in batch from either user interface or command line. In the first mode all features are visualised, so even a novice can easily get files converted. Command line conversion requires knowing options’ code in order to operate with available features via text command. All required parameters are described in Help menu. 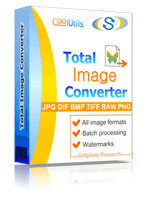 You will appraise the easiness and efficiency of using this TIFF converter from the first time. Its interface makes it easy to sort our required originals, choose target format and make proper settings. If you are not sure in settings you need, there are default set that can be used instead of manual adjustments. 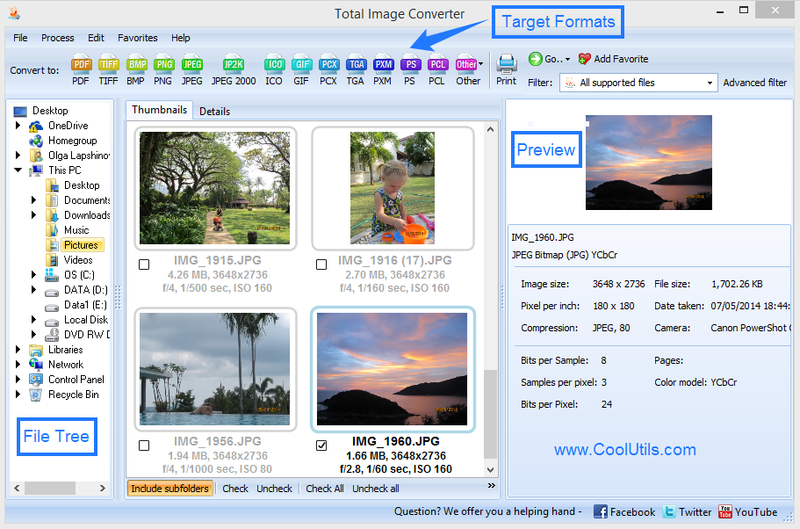 You can get the freshest version of Total Image Conversion absolutely for free. Download its free trial here.